Aphrodisiac: Something that makes one want some lovin’ appropriately comes from the name of Aphrodite, the Greek goddess of love and beauty. Venereal(disease): Describing anything that comes from sexual indulgence comes from VENUS, the Roman equivalent of Aphrodite. Museum- A places of learning, comes from the Muses, the sister goddesses who represented all that is culturally elevated. Saturday- Named after the Roman god, Saturn, the supreme god. So today I’m going to this fun little breakdown and analysis of the mark that Slavic Mythology has left on the Russian language. Just like in English, pagan beliefs influenced and even created the entire Slavic lexicon, preserving the religion in the modern day language. 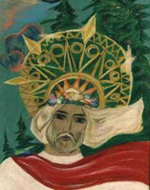 Slavic mythologic-etymological roots differ from the Greek and Roman ones, in that many words in the Slavic vocabulary contain the names of Gods. Because both the language and the mythology were born and living long before a written language was, it’s hard to know which came first, the myth or the word. You could argue both ways. Unlike the Greeks in the early BCs, the Slavs lacked a written language in which to write epic tales of their pantheon. So the traditions and tales have been passed orally, and can be hard to source. Rod separates his creation into three departments: The Heavens, The Earth, The Underworld(or the world of the past). Правь- The heavens, inhabited by gods who behave themselves, who govern and enforce justice. Явь- The second kingdom was the kingdom of Явь, or the visible world, or earth. This is the root in words which have to do with visibility, becoming, or appearing, or concretely existing. Навь-The underworld, whose offspring vocabulary are no longer in use in everyday Russian. But according to the great lexicographer, Dal’s dictionary, it appeared in many dialects as a euphemism for death and hell. Яроводье-Nasty flood that wipes everything out. Велес/Волос/ or Veles, is known by slightly different variants of this name in Slavic languages. He is the god of livestock and wealth. He is often portrayed as a bear. Bears are hairy and maybe that’s why he got the name(which means hair in Russian) Strangely enough the words connected with him have to do not only with “hair” but “power” as well. The connection between hairiness and power makes the tale of Sampson make more sense. Slavic mythology is closely tied with the Proto-Indo-European pantheon, so you could probably find similar ties in the Russian names to the originals. I didn’t have time to investigate that. It always fills me with glee to find connections and origins of words. It’s hard, of course, to know which came first the god, or the words to describe them. It’s like the chicken and the egg, which is literally the beginning of the mythology. 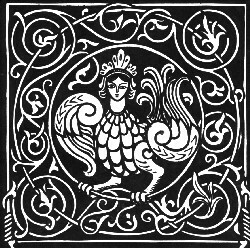 The creation story in Slavic mythology begins with a chicken, Ряба, laying a golden egg which would become the earth. Yes, we’ve been taught at school that Slavs entered the historical scene in the VIth c A.D. and that foundations of European civ had been established solely by Greeks and Romans. What abour Slavs (tendentiosly called Esclaves and Slaves) and Serbs (Servi), acc. to many historians an older name of the Slavs? When mythology , language, customs or toponymy are consulted, an objective mind gets an entirely different picture, where Slavic influence abounds. Unfortunately, the SAME PATTERN prevails even today with satanizing the Serbs (now Russians, as well) for all the evils of this world, which, in reality, had been instigated mostly by Western powers. What does that mean? Banner Exchange? Sorry, don’t really know my way around the blogging stuff very well. thanks for all your writing, i am a slavic elk clan shaman wind whisperer, some of your information helped me in my video teachings to my apprentices, being polish its in my blood, being a shaman i work with my dead ancestors… i understand everything you have written in a practical and applicable way in life, its my gift, but since i won’t write a book, its not my format where art, poetry and my global shamanic work is, i fit it all in little videos : ) thanks so much. I’ll make sure to bookmark it and return to read more of your useful information. Thanks for the post. I will certainly return.